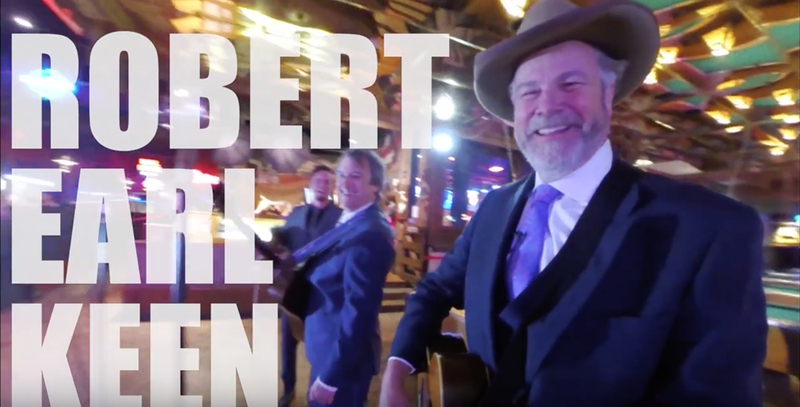 The Dallas Observer recently featured legendary Texas singer/songwriter Robert Earl Keen on it's acclaimed "Busking" video series. The Observer caught up with Robert and his band at Billy Bob's Texas, and REK performed two songs for the series. Robert and his band are currently on the road in support of his latest album, "Happy Prisoner: The Bluegrass Session." Watch the video here or to learn more about Robert's coming tour, visit RobertEarlKeen.com.